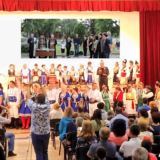 The Sunday of All Bulgarian Saints is a unique holiday. This is when the Church venerates all historical personalities who lived in our country in the past and were canonized. 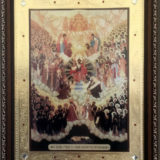 They were known with pious life, profession of Christ’s faith in its completeness, devotion to Saint Orthodoxy. They were people of faith and spirit, all of them having strengthened with their deeds church, people and state cohesion. Bulgarian saints embody our national past, each period of our pre-liberation history having its martyrs. 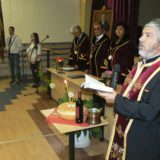 Apart from church calendar saints, many other saints, reverends, hermits and martyrs have shone on Bulgarian lands, since before Bulgarian conversion to Orthodoxy up to the present. Under Ottoman rule, the bashi-bazouk destroyed and burned our monasteries and churches, though our people faith was preserved. This is the reason why on All Bulgarian Saints Sunday we also commemorate innumerable unknown holy people having shed their blood to safeguard faith on our lands. On this day we likewise venerate the unknown monks and saints, having passed away quietly and humbly to shine with invisible light from heaven. 4 January – Venerable Onuphrius of Hilandar – † 1818 in island of Chios. 8 January – Venerable Gregory of Ochrid – no data. 15 January – St Prochorus the Abbot in the Vranski Desert on the river Pshina in Bulgaria – † 1067, river Pshina in Bulgaria. 15 January – Venerable Gabriel, Founder of Lesnov Monastery in Bulgaria – 11th–12th century. 16 January – Venerable Romilus of Ravenica – 1375, Ravenica (Serbia). 16 January – New Martyr Damascene of Gabrovo – † 1771, Svishtov, Bulgaria. 18 January – St Joachim I, Patriarch of Trnovo and Bulgaria – † 1246. 20 January – St Euthymius, Patriarch of Trnovo and Bulgaria – † around 1401. 22 January – Martyr Peter the Bishop in Bulgaria – † 814. 22 January – Martyr Sionius the Presbyter in Bulgaria – † 814. 30 January – Blessed Peter the King of Bulgaria – 927–969, reigned for 42 years. 30 January – St Demetrius, the New Martyr of Sliven – † 1841, Sliven. 11 February – St George, the Newmartyr of Sofia – † 1515. 14 February – Repose of St Cyril, Equal of the Apostles and Teacher of the Slavs – 869, Rome. 17 February – St Romanus, the Disciple of St Theodosius the Bulgarian – after 1364. 5 March – St John the New Martyr of Bulgaria – 1784, Constantinople. 11 March – St Sophronius the Bishop of Vratcha, Bulgaria – † 1813. 23 March – Monkmartyr Luke of St Anne’s Skete on Mt Athos and Odrin – 1802, Mitilene, died at the age of 16. 26 March – Martyr George of Sofia – 15th century. 28 March – Martyr Enravota – Boyan, the Prince of Bulgaria – † around 833. 1 April – Martyr Abraham of Bulgaria (no data; 1229 according to St Demetrius of Rostov). 3 April – New Hieromartyr Nicetas the Albanian of Mount Athos and Serres– 1808, Serres. 6 April – St Methodius, Equal of the Apostles and Archbishop of Moravia, Enlightener of the Slavs – 885, Velehrad. 23 April – New Martyr Lazarus of Bulgaria – 1802, Soma (Asia Minor). 1 May – New Martyr Acacius the Martyr of Mt Athos and Seres – 1816, Constantinople. 2 May – St Boris (in Holy Baptism Michael), Equal of the Apostles, Prince and Baptizer of Bulgaria – 907, Preslav. 14 May – New Martyr Raiko (John) of Bulgaria – no data. 17 May – Greatmartyr Nicholas of Sofia – 1555, Sofia. 21 May – St Constantine the Martyr of Sofia, rf. a story about his life in The Tsarkoven Vestnik. 22 May – St John-Vladimir the Prince of Bulgaria, the Greatmartyr and Miracle-worker – 1016, Ohrid. 26 May – Greatmartyr George the New at Sofia, Bulgaria – 1530. 27 May – Hieromartyr Therapon the Bishop of Sardis – 1515. 28 May – St Sophronius the Bulgarian – 15th-16th century, Ruse region. 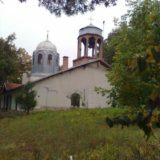 19 June – Venerable Paisius of Hilandar, Bulgaria – unknown when and where (around 1770). 25 June – New Martyr Procopius of Varna – 1870, Smyrna. 8 July – Venerable Theophilus the Myrrhgusher of Macedonia – 1548, Karyes (Mt Athos). 11 July – New Martyr Nicodemus of Albania – 1722, Elbasan. 16 July – New Martyr John of Trnovo – 1822, Trnovo. 8 August – New Martyr Triandaphyllus of Stara Zagora – 1570 or 1680, Constantinople. Around 18 years old. 16 August – St Joachim of Osogovo – 1105. 19 August – Venerable Theophanes of Dochiariou of Mt Athos – no data. 20 August – 38 Martyred Soldiers in Thrace with Severus and Memnon – no data. 21 August – New Martyr Simeon of Samokov – no data. 29 August – St Anastasius of the Strumitza Eparchy – 1794, Thessaloniki. 22 September – Venerable Cosmas of the Zographou Monastery on Mt. Athos, from Trnovo – 1323. 1 October – Venerable John (Koukouzelis) the Hymnographer of Mt. Athos, Albania – around the end of 10th century, Mt Athos. 8 October – New Martyr Ignatius the Monk of Bulgaria – 1814, Constantinople. 10 October – 26 Martyrs of the Zographou Monastery on Mt. Athos at the hands of the Crusaders – 1284. 14 October – Venerable Parasceva (Petka) of Serbia – 11th century, Epivato, Sea of Marmara coast. 18 October – St Great Martyr Zlata of Maglen – 1795, Slatina (today in Greece). 19 October – Translation of the relics of Venerable St John the Abbot of Rila in Bulgaria – 946. 21 October – Translation of the relics of St Hilarion the Bishop of Meglin in Bulgaria – 1164. 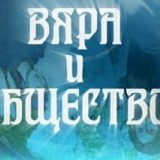 27 October – St Demetrius of Basarabov – around 1685. 1 November – Monkmartyr James of Kostur – 1520, Edirne. 3 November – Venerable Pimen the Bulgarian of the Zographou Monastery on Mt. Athos – 1620, Cherepish Monastery. 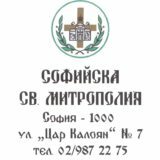 22 November – Righteous Michael the soldier of Potouka, Bulgaria – around 865, Potouka (probably Batak). 25 November – St Clement the Bishop of Ochrid and Enlightener of the Bulgarians – 916, St. Panteleimon Monastery. 27 November – St Theodosius the Bulgarian, with his disciple Romanos – 1363, Constantinople. 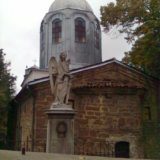 28 November – Martyr Hristo of Bulgaria – 1748, Constantinople. 5 December – Venerable Nectarius of Bitolya and Mt Athos – 1500, Karyes (Mt Athos). 7 December – St Philothea of Thrace, the Protectress of Romania – around 1218, Polivot. 16 December – St Martyr Marin – no data. 23 December – St Nahum of Ochrid, the Disciple of St Cyril and Methodius, Equal of the Apostles – 910, Ohrid. 26 December – Hieromartyr Euthymius the Bishop of Sardis – no data.